The holiday season is upon us and if you’re like me, it might be hard finding that perfect gift for someone. However, I’ve compiled a list of items I think will be great to get for someone that loves music. Let’s get started shall we? Every music lover will take the opportunity to delve into the world of unknown music so they can find even more albums to obsess over. 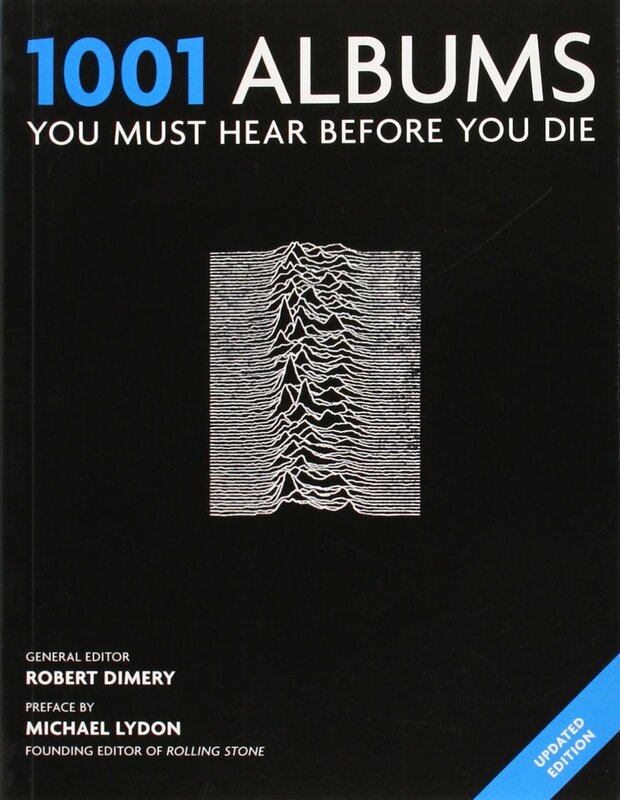 This book is a great way to become familiar with classic albums, underrated albums and albums you’ve probably heard thousands of times, but still don’t know everything about. This is a book that every music lover will enjoy because who doesn’t like falling in love with new music? I’ve talked about the great uses of Spotify in my 5 Apps Every Concert Goer Should Have post, but this app isn’t just great for concert goers, but also for music lovers in general. Spotify premium allows subscribers to listen to endless hours of music, all for the low price of $9.99 a month, or $4.99 a month if they’re a college student. They also now have a deal with Hulu, where you can get both premium Spotify and Hulu for just $4.99! With the amount of money that most music lovers would spend on albums, $9.99 isn’t a bad deal seeing how they have thousands albums available on their app. They also you allow you download all of their content to your phone so you’re not stuck using data to listen to all your favorite artists. It also comes with the best feature, no advertisements! For this holiday season, a portable record player may be the most ideal gift you could get a music lover, especially if they’re a fan of indie or alternative music. 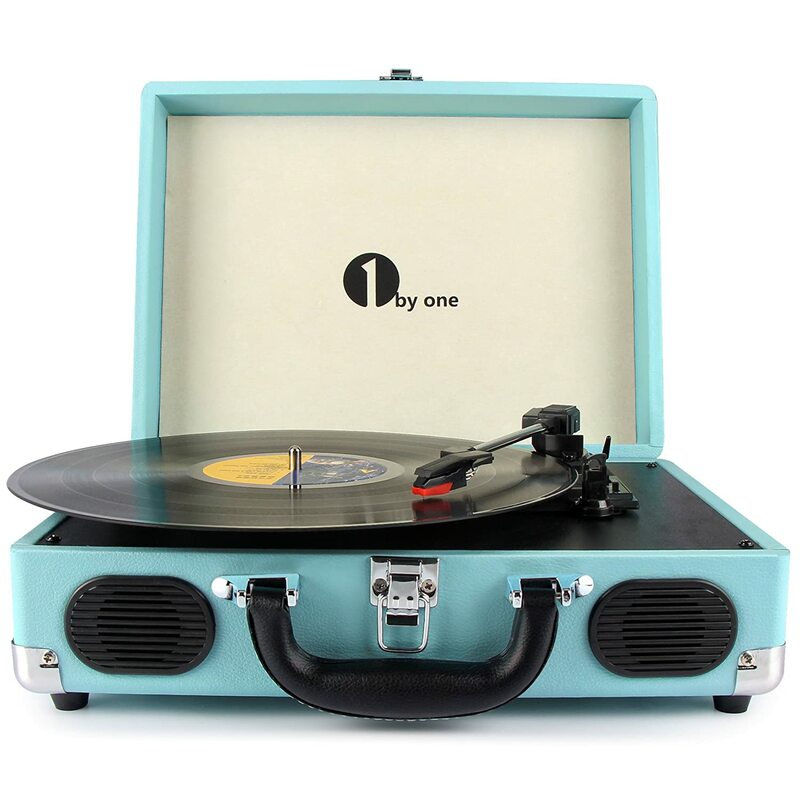 While there are many records players available, I recommend the 1byone Belt-Drive-3-Speed Portable Stereo Turntable with Built-in-speakers, which is ranked number 5 on Techsounded’s Top Ten Best Portable Record Players . It supports RCA Output, has a headphone jack, allows MP3 and mobile phone music playback and comes in black and turquoise, all without breaking the bank. Just get ready to hear, “That record sounds so much better on vinyl” because that’s not a joke, we actually say that. It should go without saying that every music lover needs a quality pair of headphones and the Sennheiser momentum headphones are the perfect ones that don’t break the bank. Sounds like a great investment to me. Named after the Clash song, this is a unique gift for that music lover that enjoys experimenting with new recipes as much as they enjoy experimenting with new music genres, like math core or nerd rock. Are you really a music lover if you don’t have at least one poster hanging up in your room? Concert posters are great for concert goers that don’t want to spend an excessive amount of money on merchandise, seeing how shirts can range from $25-$45. It’s a great way to remember a great concert for a great price. Not a fan of concerts? That’s perfectly fine because allposters.com has posters from bands to movies to sports to comics. A bluetooth speaker is always a great investment due to the new mobility allowed for both you and the speaker. This is a great gift for a music lover because they’ll be able to still listen to great albums without having to constantly keep their phone on them if they’re being preoccupied by something else. The speaker that I would invest into is the Fugoo Sport speaker and Tech Radar has given many reasons t as to why it’s great that I’ve listed below. Vinyl frames are a great investment for music lover’s that have the space and a great collection to show off. With a monthly subscription of $39 a month for three records of month, it’s a pretty great and sure to make a music lover very happy. Well that’s all I have for you all this week, and I hope it was helpful! I’ll be writing to you all soon with my opinions on this years best albums.